Hello! This is Aadil. 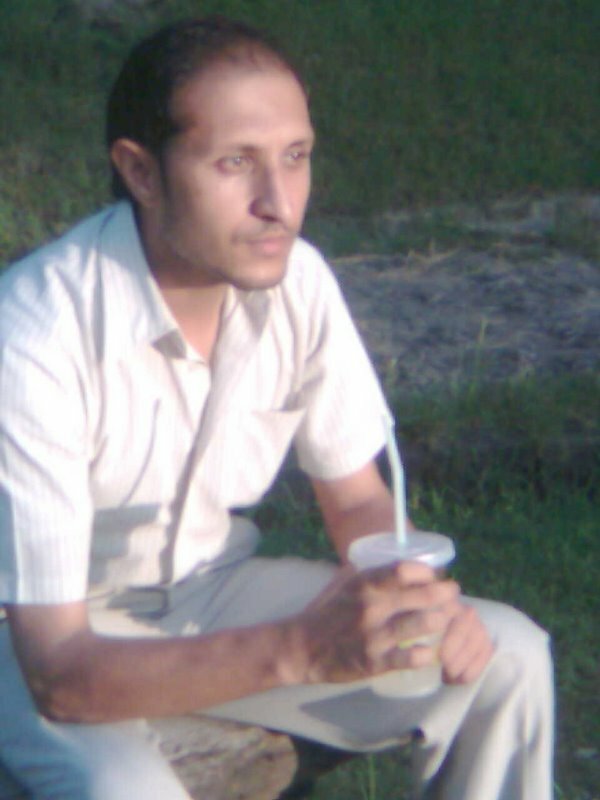 A wanna be optimist, carrying the fantasies of a Developed, Prosperous and Enlightened Pakistan in my eyes. Hi Adil. I think I’ve seen your profile on Chowk too, right? I was thinking of e-mailing you earlier, but you landed a comment on my blog first. Yar I checked a lot your site for that poem on Kashmir but could not find.I think that might take some time to be appeard on the site and you would have added that since a very recently isnt it?. Aadil: this is a great statement and I share your optimism and fantasies! So very thanks Raza! I’m feeling really proud to have gotten your words of encouragement coz I consider you to be someone with exceptional qualities of knowledge and wisdom. Thanx again for vising this blog! Nice blog too dude. Well done. Keep it up!! keep up the good work Aadil. Not only is that header of yours AWESOME, it’s bigger than mine —-WHY!!!! ALSO you need to add AYESHA to your blogroll! @ Nadeen, madam my blog design is different from yours and thats the reason the header being bigger. And I’ll definetly add ayesha’s blog to my blogroll. why not! Is your wordpress working yet – You must put up poem here. I will link it to my pages just in case! I’ve posted it. Now check and review it in detail. Waalaikum-Assalam! so very thanks brother for your visit and wishing me well! This baby in the picture is so cute! Nazar lagtee hai – you should not put so many pictures p of her! Nadeen, thanks but they are two, zunaira and abeera. I love them all hence their pictures showing here. TWINS! Wow! Still – SO CUTE!!! Why aren’t you updating your WordPress? Kashkin, I remember my promise but it isn’t all my fault; words are also reluctant to meet me as per my desire .. I’ll try to get hold of them ..
Hey, the header is awesome. What’s that place? What a fantastic header – It’s perfect – you took this picture yourself??? mmm header goes well with your patriotism! The new header is really really beautiful – Put up the whole picture if possible – its really picturesque! Thank you ayesha and kashkin! We’ve got a lovely capital! isn’t it? I’ve visited you a few times, and read a few posts. You got yourself a great blog! Will be coming back soon to read more. Thank you nadia, for visiting me back! Aadil, I thnik u inspired by Ayehsa’s candles. Isn’t it? Nice layout – I like blue and yellow. Thanx Ayesha … it has been stolen through a search on flickr … not remembering even the source … am too selfish to thank the source when it comes to stealing the glimpses of my love; Pakistan. Hey .. where did you find the header? ayesha? I’m adding you to my blog roll Aadil. I’m optimistic too, although I come from India. Love my neighbor! I hope the new president is going to bring a new ray of hope. Thanx shivya for adding my blog 🙂 I’ll do the same. Hope we can take that optimism beyond the hurdles of prejudice and hatred which has been the case between us two neighbors throughout the course of our history. MZ, are you back? yaar koi photo shoto email kar do bhi? Shah-G: is NA’s world sleeping? I could not find her googlepages. Hows Ramadan going on? We gonna miss many aftaaris’ together. If you happen to see Azure, No words for him from me! Shah-G: whats wrong with NA’s world? Hows Ramzan going there? I think we missed many aftaaris’ together. mmm new header… is it about new poem? @ goonga …nope .. its just a routine change ..
hey .. how have you been? … how’s the job? ..
so far work is so good. met few guys and they turned out old acquaintances, world is really very small. Yep, that is the case, man! gar yeh nahi hay hijr tau, phir yeh wisal bhi nahi .. ..
and another sun verse ..
hum bhi hai’n aik inayat ki nazar honay tak ..
aap hee ho nazar-e-sauz, parday may moo’n chupaye kyoon ..
the last two are classic verses both from Ghalib I guess ..
Hey Aadi – where are you these days? Tagging you today – I dug up old photos from christmas here last year and also wrote about them – you have to read the post as a sample (Christmas 2007 in Dubai), then dig up old pics at your end, post them and also give info about them. will participate in some other tagging thing in the future .. Waiting for some new nice themes from wordpress coz I’m desperate for a change ..
Have visited your blog which is an awesome blog I must say! Aadil could you tell me how I go about changing my header picture.I ve done it a number of times but whenever I change, the new one doesnt get displayed.. It should appear after you’ve changed and saved it. Just refresh your page after saving the header and it should appear. Ok, ‘ll try another time. You’ve just been TAGGED by ME! and yeah i have lots of painful pieces on it … but those are just words blabbered out … am not a poet or anything !! anyways thanks for visiting 🙂 !! Personally, I can’t use any of the black background themes for I have used colored font in the past and then it all messes up. hey… is this about thunder lights, beginning of dark era or sasti bijli in Pak? @ Ayesha .. Thanks! 🙂 I’ll again appreciate your avatar. Its lovely! @ Goonga jee .. Its about the thunder that gives us a resounding reminder that hopes in the shape of lightening can’t be tamed for long. Hopes are all we have! Adding you to my blog roll! :) Hoping to learn a lot from you. Err.. I don’t think my blog really deserves to be called a ‘blog’ right now since I’ve to manage lots of things in that. But nevertheless, my id at wordpress is same as my nick i.e spotlesssoul.wordpress.com . And it was my pleasure. Hoping to have a learning experience from here. I especially liked the header… it looks cool! Good to see a cool page design of ur blog n pic is nice too……………..
Oh, so very thanks but it would almost be impossible for me to write more honesty as I’ve already participated in the mentioned tag. Don’t judge me by those broken lines, to be a poet; am a novice, curious to learn a thing or two about poetry. Chowk Man….. correct me if I am wrong…. Yes, I’m there at Chowk too! i hope i could make it…. Wc! 🙂 We’ll wait for it! Gracias Mucho! 🙂 .. Glad you reminded me for the honour; I’ll try to follow it up soon. I’m grateful for your comment and visit. In indeed is a pleasure to know about your aspirations for the country; your are right there are lots to be be done to help our country through our actions as well. Welcome to the world of blogging :); am very glad to know you have new thoughts coz mine are cleched. Oh thanks for the visit 🙂 Glad you came here! I’d like you to keep visiting wordpress for all but optimism; am just desirous to be the one 😉 I guess my chowk id is a bit misleading in that; I’d love to get rid of it but am too possessive for all my previous ilogs. Oh wow! someone has been busy with the layouts.. 🙂 Nice. Stay well and keep all of us posted. Today I had the opportunity to visit your blog. Masha’Allah you are doing an amazing work. Keep it up!